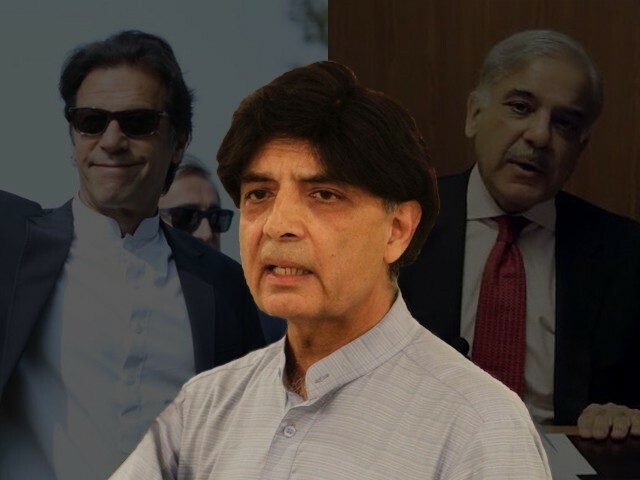 To leave or not to leave: Will Chaudhry Nisar actually quit PML-N for PTI? For his 34-year-long association with Nawaz Sharif, Chaudhry Nisar wants his due influence in the affairs of the party. This is quite puzzling, for if not power and influence, what exactly has Nisar been looking for in the shady world of local politics? However, now that he is struck with a dilemma at an interesting point of his political career, it makes one curious whether his choice will be to remain with the Pakistan Muslim League-Nawaz (PML-N), or opt for its rival, the Pakistan Tehreek-e-Insaf (PTI). His decisions at many crucial periods of his political career are reflective of his preferences. When Pervez Musharraf toppled the Nawaz government, Nisar depicted himself as a politician of a different temperament. At the time, the PML-N was polarised. At one end were party workers like Pervaiz Rashid who incurred physical torture by the dictator. At the other end were the Chaudhry brothers, who abandoned the party and were basking in the dictator’s favour. Right in the middle of these two extremes stood Nisar. Nisar believes politics is both an art and a science. In terms of art, he perfectly blends politics with principles, and has earned his name as a well-reputed and respected politician in Pakistan. In terms of science, he believes a politician has to weigh his options carefully. Nisar does not seem to be consumed by power and principles in an ordinary sense. Power with prestige and self-perceived principles shape his political preferences. He wants his voice to be heard. For his 34-year-long association with Nawaz Sharif, he wants his due influence in the affairs of the party, which a senior political worker rightly deserves. Now, after being confronted with an extremely challenging situation, he has three options before him. Here lies a problem; what could PTI possibly offer Nisar? It cannot be the party ticket, because a veteran politician like him doesn’t need a mere ticket to win from his constituency. Perhaps it offers him influence and respect. However, therein hangs the cautionary tale of Javed Hashmi. The party couldn’t gratify his political desires, nor could it assimilate him into the structure properly. Since leaving PML-N, Hashmi has made himself irrelevant. Besides, the PTI has no culture for pioneers to get a due share in party affairs. Fauzia Kasuri and Justice Wajihuddin are but two examples. That being said, what does Nisar have to look forward to in the PTI? Nothing promising. This option entails three more scenarios. First, he doesn’t protest or demand anything; rather, he stays quiet and waits for the right time to voice his concerns again. As we have all witnessed, staying silent is not his style, and doesn’t go with his temperament either. Second, he continues to voice his concerns and invites the attention of the saner elements in the party. After all, there are many in the PML-N who concur with Nisar and are not fans of Maryam Nawaz. It is only a handful of sycophants who have gathered around Maryam and Nawaz. They, too, are aware that confrontation with the institutions is not a policy, but a tactic to gain popularity and win the coming election. Shehbaz Sharif is one of them. Then again, even with this option, Nisar is struck with a dilemma. It is quite likely Shehbaz will convince Nawaz to forego the grudges between him and Nisar, but what if he fails to revive his previous position of prestige and respect? After all, it has been a pressing concern for him, and if it doesn’t happen, there is no point in staying in the party. A third possible scenario for him is to distance himself from the party as a silent worker, while his son runs the next election campaign from his constituency as an independent candidate. This way, his reputation will not be damaged, and his voters will not question his loyalty. With time, the party will realise his stance was right and served the wider interest of the party. This is the option least likely to happen. In 2013, Nisar gauged his strength as an independent candidate by contesting the seat of an MPA in PP-6, Rawalpindi. He won. It was very interesting to see him win as an independent candidate in PP-6, but lose in PP-7 as a PML-N candidate. Even so, running as an independent candidate is risky business, as it will mean parting ways with PML-N. Furthermore, other than his constituency, if he fails to secure victory as an independent candidate, his reputation will be damaged and his political career will suffer a severe setback. With the elections nearing and every day offering a new revelation, only time will tell which direction Nisar takes. However, in the bigger picture, it doesn’t matter which party Nisar chooses to be a part of. The larger issue is that in Pakistan, political parties should not set the precedent set by politicians such as Hashmi and Nisar. This oscillation between parties doesn’t facilitate democratic culture taking root, neither in the parties, nor in the country. Rather, it only strengthens the view that politicians are incapable of uniting their own party workers, let alone Pakistan. Ghazanfar Ali Garewal is Lecturer in International Relations department NUML Islamabad and Coordinator of the department. He has been writing on Politics, Social Issues and Education for an English newspaper, Pakistan Observer. Will Pakistan forever be indebted to China for CPEC? Are America’s Nuclear Non-Proliferation policies laughable? Is the Chabahar Port agreement failing India? And now this man Nisar is deserting the sinking ship of his former master and patron.